Although I haven’t checked, I’m pretty sure that the dictionary entry for “apocryphal” now includes a picture of an Ancient Philosophy professor relating the above story. It never happened. Still, it’s what immediately came to mind when I read some of our illustrious host’s recent essays. It’s no secret that Massimo is my dissertation adviser, making him one of five people in all time and space who will suffer through my fanatical ravings about the intersection of the species problem and the levels-of-selection debate. Buried within the 66,052 words of my thesis are three arguments: first, that species are natural kinds if and only if species selection is possible; second, that (some) species are natural kinds; third, that species selection is possible. (I do try to cover my bases.) So when Massimo wrote that species selection “is not selection, but … sorting,” I felt the sort of apprehension one only feels upon learning that a friend has reunited with an ex-significant other. We had talked this over, I thought; surely you saw the reasons to move on! I don’t want to overstate things. We may just be looking at the most serious philosophical falling out since Aristotle responded to Plato . Before it comes to that, let’s review the issues involved and see if we can’t pull Massimo back from the Dark Side. First, we should sort out sorting and selection. The distinction here can be made through a delicious series of experiments. Take two groups of hungry volunteers and two bags of MandMs for each group: one with dark chocolate MandMs and one with peanut Hanukkah MandMs . In one group of volunteers, empty the bags into a bowl and then ask the volunteers to select candies on the basis of color preference. In the other group, ask the volunteers which bag to open and serve first on the basis of flavor. Here’s what would probably happen in the first experiment: color preference is very heavily biased towards blue and against brown, and so the last remaining MandMs will probably be brown; since the Hanukkah MandMs only come in blue and white, the remaining MandMs will be dark chocolate ones. Here’s what would probably happen in the second experiment: peanut MandMs are more popular than dark chocolate MandMs, and so the volunteers will likely ask to open the Hanukkah bag first. In both cases, dark chocolate MandMs “survive,” but the explanation for the flavor’s persistence in the first case is sorting while the explanation in the second case is selection. The distinction between sorting and selection is drawn by the level of selection. In the first experiment above, volunteers select individual MandMs, and the association of colors with flavors leads to the sorting of flavors. In the second experiment, volunteers select a whole bag of candy, leading to the persistence of one flavor; the individual MandMs are just along for the ride. Similarly, species sorting would be the differential persistence of collections of organisms due to the properties of organisms in those collections, and species selection would be the differential persistence of collections of organisms due to properties of the collections themselves . When Massimo says that purported examples of species selection are actually cases of species sorting, what he’s expressing is the majority view among evolutionary theorists and philosophers of biology: that the levels of selection have their ceiling below the species level, and any differential speciation or extinction (i.e., reproduction or death of species) is the result of selection of genes, organisms, or local populations. Species seem to be more abstract (at best) and ephemeral (at worst) than any of those, and so the consensus view is that they’re not the sorts of things that can bear properties necessary for selection. Cue record scratch: or are they? Part of the problem with any discussion of species is the fact that we so rarely make it clear what it is we’re talking about. I don’t simply mean that there’s debate over how to define species — the “species problem” that so concerns philosophers of biology — but more that disputants in that debate often talk right past one another. In the past century alone, the word “species” has been used regularly in at least half a dozen different senses . The bottom line: when Massimo says that species aren’t targets of selection and I say that they are, we might not be contradicting each other. When you learn biology in high school, or as an undergraduate, the subject tends to be presented as a monolithic combination of physiology, ecology, zoology, botany, genetics, paleontology, evolutionary theory, and taxonomy. This view of the discipline is an historical accident. Before the first half of the twentieth century, each of these fields carried on mostly independent of the others; it was only through the efforts of theorists such as R.A. Fisher, J.B.S. Haldane, Julian Huxley, Theodosius Dobzhansky, Ernst Mayr, and G.G. Simpson that the theory of natural selection came to be viewed as a unifying explanation that could tie the life sciences together. Still, one can be a taxonomist and (justifiably or not) remain largely oblivious to the work being done in, say, genetics . To a great extent, debate over the species problem is an attempt to resolve the cross-talk between different disciplines in biology. In particular, taxonomists are concerned with the grouping of organisms into species by some standard of similarity where evolutionary theorists are concerned with the study of populations that evolve; much of the work done on the species problem involves the attempt to find a similarity standard for the units of taxonomy that would identify them with the units of evolution . Species selection would add a new wrinkle to this problem: not only would the units of taxonomy have to be identifiable with units of evolution, but both would have to be identifiable with a unit of selection. The big, seemingly insurmountable problem: as I’ve already noted elsewhere (and as Massimo similarly acknowledged), natural selection can only “target” individuals, and only collections of individuals can evolve. Species selection would require that species are individuals and collections of individuals, and that taxonomy can somehow reflect the idea that one thing can be identical to many things. Really, it’s enough to make even the most patient and careful philosopher of biology just throw up her hands and give up on all this nonsense. But which nonsense? Some biologists have recently suggested that we just ditch the idea of species; however, by far the more common alternative is to give up on species selection. Of course, one should never underestimate the gumption and stubbornness of a dissertation-level grad student. Biology, you see, is chock full of things that are individuals in one sense and collections of things in another. Hell, just look in the mirror: not only is your body dependent on trillions of bacteria that call your insides “home,” but each of your own cells is descended from some ancient unicellular organism, thus making you both one thing and many things. This should be a fairly uncontroversial point. If we accept evolution, then we should accept that before there were multicellular organisms there should have been unicellular organisms, and before unicellular organisms there should have been genes, and so on. New kinds of individual have emerged throughout evolutionary history. Emergence is a thorny philosophical issue. I want to avoid it to whatever extent I can. Luckily, the practice of evolutionary biology seems to offer a nice way out. By what standards do biologists recognize the emergence of a new sort of biological individual ? Why do we say that a human being, apart from having hundreds of trillions of cells, is a single organism, whereas a biofilm is just a collection of individual microbes? Most considerations of the question seem to settle on two criteria: division of labor between parts and intrinsic maintenance of functional integration . In other words, something is considered a biological individual if its different parts do different things, and all the different parts are organized towards a common goal. We see these two criteria satisfied by genomes, given the distinction between regulatory and structural genes and their integration in development. We see the criteria satisfied by cells, given the distinction between organelles and the unification of their disparate roles in cellular function. Organisms satisfy the criteria, too, as noted above. And that’s where most biologists stop, except for the few who point to insect colonies with one hand and make rude gestures towards Richard Dawkins with the other. But there’s a good reason not to stop there, because there are other things in the living world that have a fundamental division of labor and mechanisms for maintaining functional unity. Those things are sexually reproducing species. Think about it: a sexual species requires both males and females (or at least differentiation between gametes), and hybrid sterility (generally) ensures that those males and females can only reproduce viably with members of their own species. In the same way that organisms represented a major evolutionary transition from individual cells, so too may sexual species represent a major evolutionary transition from individual organisms . Here is where I take a rare departure from my mentor. Massimo denies that a theory of multilevel selection should be extended upward to include species selection because he thinks of species as units of taxonomy to be identified with units of evolution. To his credit, this view — that species are collections of organisms and not functional individuals — predominates among practicing biologists (if not philosophers of biology; see note 3). I believe that there is no reason not to extend multilevel selection upward, and that some (but not all) units of taxonomy — particularly, those identified with units of evolution whose members reproduce sexually — can be identified with potential units of selection. To return to an earlier point: the depths of our agreement are obscured by a poverty of language. I agree that many, and perhaps most, cases of “species selection” could be explained by species sorting, and that what looks for all the world like nature picking whole bags of MandMs is probably just selection of particular colors. But I suggest that while most collections of organisms that we call “species” do not represent a major evolutionary transition, one particular kind does, and that we use the word “species” equivocally in labeling this kind of collection. Sexual species are units of evolution identifiable with units of taxonomy, but they are also units of selection that emerge out of the units of evolution, by the same criteria according to which biological individuals emerge at lower levels of selection. Species selection, as distinct from species sorting, is therefore (at least) possible. We just have to use the word “species” in a different way. As far as I can tell, I’m not playing Calvinball here (i.e., making up new rules and defining myself into being right); I’m still in the sandbox, playing by the sandbox’s previously established rules. I just want to get Massimo to recognize a new way of seeing those rules. After all, philosophy can ill afford another split as epochal as the one that started when Aristotle took his proverbial ball and went home  . Technically speaking, all differential propagation is sorting, and so selection itself would be a type of sorting; however, within the context of the current debate, “sorting” tends to mean “types of sorting that aren’t selection,” and so that’s the sense I’ll go with here. To wit: following Aristotle, logicians use “species” as a mark of logical distinction; following Owen and Agassiz, neo-Platonists use “species” to describe abstract organic forms; following Linnaeus, taxonomists use “species” as a category for organizing living things; following Darwin, evolutionary theorists use “species” to describe branches on the evolutionary tree; following Dobzhansky, ecologists and population geneticists use “species” to distinguish reproductively isolated groups of organisms; following Ghiselin and Hull, philosophers of biology use “species” to describe conceptually individuated evolving groups. Some philosophers of biology — Alex Rosenberg, for example — deny biological emergence altogether. But (as Rosenberg himself points out) this is not how biologists actually engage their field of work. Biologists themselves may be more or less consistent in their antireductionism, but at least within the context of the field we can discuss their reasons for accepting the view. Full disclosure: there are plenty of sources — Leo Buss being my personal favorite — who cite additional criteria; however, the two I’ve listed are recognized as necessary by most (if not all), and as sufficient by some. To quote Krusty the Clown, it’s not just good; it’s good enough! And for those who wondered what happened to the talk of natural kinds: since natural kinds are collections that bear many of the same metaphysical characteristics as individuals, emergent species would be natural kinds. Just in case the point needs to be reiterated, see note 1 above. For all the Lawrence Krausses out there (as if one wasn’t sufficient): the preceding conceptual analysis is precisely the sort of thing that philosophy can do and science can’t. What sort of empirical evidence can settle the question of how to define the word “species”? Which experiment will decide whether species are real biological things or merely nominal aggregates of other biological things? And most importantly: isn’t it clear how these philosophical questions can have an effect on the actual study of the relevant science? I don't understand the distinction that you are drawing between "sorting" and "selection". You say: "In the first experiment above, volunteers select individual MandMs, and the association of colors with flavors leads to the sorting of flavors. In the second experiment, volunteers select a whole bag of candy, leading to the persistence of one flavor; the individual MandMs are just along for the ride." As your own words indicate, selection is occurring in both cases. Perhaps you are trying to distinguish between "selection of" and "selection for"? There is selection "for" a trait if the values of the trait causally affect probabilities of survival and reproduction while there is selection "of" a trait if the values of the trait do not causally affect such probabilities, but are correlated with some other trait that does. 1. Selection targets only individuals. 2. Philosophically, individuals are characterised by division of labour and intrinsic functional integration. 3. Sexual species have division of labour as males and females carry different bits of the genome. 4. Sexual species have functional integration. No argument proposed. 5. Therefore sexual species are - philosophically speaking - individuals. 6. Therefore selection can target sexual species. Please correct me if I've misunderstood your argument. I don't believe that even in principle this kind of argument leads anywhere. That is because the statement "selection targets individuals" is not about individuals in a philosophical sense. Really, selection targets the smallest unit that carries the mutation which necessarily lives and dies as one, whatever you may call that unit. I can die and you can go on living, or vice versa. That means that the mutations in my genome will be selected for or against independently of those in yours, and the ones we have in common will be selected for or against independently in you and in me - two chances. And wouldn't an analogous argument show selection can target nations? OK, you might argue about the "intrinsic". But families and geographically isolated communities would fulfill both conditions. I think the deeper issue is that whether or not a unit is targeted by natural selection is a scientific question, not a philosophical one. In this sense, is it possible to extent multilevel selection "upward" from species to social species? Is human kind an example of "species selection"? I mean, we are the only bold hominids I've seen hanging by here lately. I think Leonard is right. As soon as you permit multi-level selection you have to permit that it is possible above the species level as well. This, I think, is so because the question whether it can or cannot appear above the species level is a question for for biologists. It is an empirical question. And, as shown in the sexual species example, this question is sometimes answered in the affirmative. : The tendency here on this blog is to simply define every activity that is not a formal hypothesis test while wearing lab coats as philosophy, and from that perspective you would be right that this is what philosophy can do an science can't. However, that is the philosophicism equivalent of defining plumbing as science because it uses empirical evidence; if one is overreach, so is the other. Species are human concepts with some communicative or explanatory value just like "continent", "star" or "forest". Whether, say, the biological species concept, the cohesion species concept or the phylogenetic species concept have explanatory value, are accurate descriptions of biological reality, and are useful as elements for building workable classifications of biological diversity are predominantly empirical questions and thus part of science. Of course you can, if that is what makes you feel better, spend a few years writing a philosophical dissertation about the concept of a "star" in astronomy, but you will find that the astronomers can ignore you and they will ignore you and just get on with the practice of astronomy without any problems for their practice arising from that ignorance. Likewise, I am a plant taxonomist and systematist, and while I have had many controversial and fruitful discussions about species concepts with many different colleagues, I have yet to take anything of value away from a discussion about whether species are individuals or classes. That question is about as relevant for my work as the question of the number of angels able to stand on the tip of a needle would be for the work of a seamstress. And, sorry to be so blunt, I would rather trust those evolutionary biologists who have demonstrated mathematically that species selection cannot possibly work than a philosopher who arrives at the conclusion that species selection happens by shuffling definitions around; not that that particular question is of any relevance for my work either. Seriously, I have never understood what actually turns on it for anything. Before it comes to that, let’s review the issues involved and see if we can’t pull Massimo back from the Dark Side. Perhaps you both need rescuing from the dark side. (Or, more likely, you will see me as already lost there). 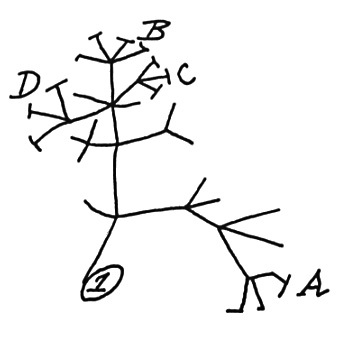 first, that species are natural kinds if and only if species selection is possible; second, that (some) species are natural kinds; third, that species selection is possible. You seem to be making this metaphysical. Why does it matter whether species are natural kinds? As a metaphysical atheist, I tend to take the view that there are no natural kinds. I see species as conventional, rather than natural. If there is a disagreement between taxonomists and evolutionary theorists, I would see that as a disagreement over conventions due to the fact that they are working on somewhat different problems so have different pragmatic requirements to be resolved by whatever conventions they adopt. For all the Lawrence Krausses out there (as if one wasn’t sufficient): the preceding conceptual analysis is precisely the sort of thing that philosophy can do and science can’t. This is probably true. And I am inclined to count that in favor of Krauss.